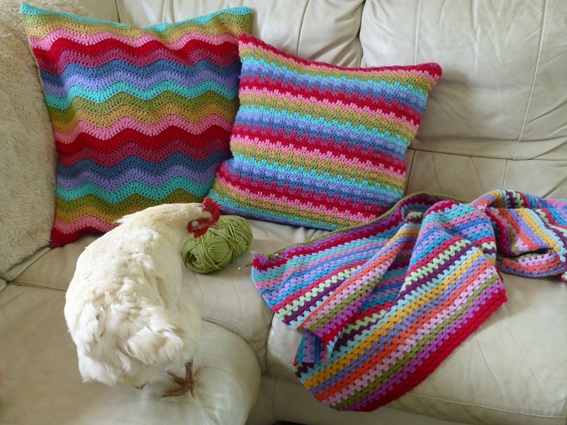 Crochet Cushions & A Nosy Chicken! 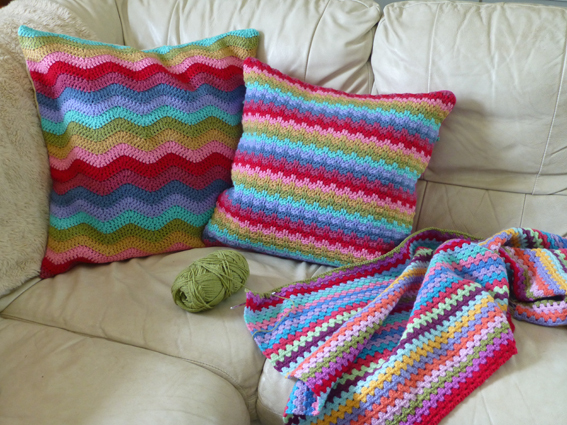 I finished these “rainbow” cushions a couple of weeks ago and have been meaning to show you, so this morning I pulled my finger out (along with the camera) and set to it. Amber, our “Amber Star” hen, took the precise moment I was about to press the shutter to investigate the new additions to her familiar walking ground. Are you allowed to have favourites? I love that hen – she is sooo bold! She has masses of character and keeps the puppy in line (who has learned that she WILL get a peck if she gets too close!). I laid a work-in-progress blanket on the sofa to set the scene; this corner is where I put my feet up of an evening and settle down with my crochet to watch TV, while my ever-patient husband has the sport (on silent) on his iPad beside him. He’s a keeper – he lets me watch Midsomer Murders, Poirot, Lewis (and other such stuff that he hates) on the 60″ HD TV and he watches football on a 10″ screen without complaining! Anyway, Amber very obligingly turned around to pose for the camera. Isn’t she lovely? 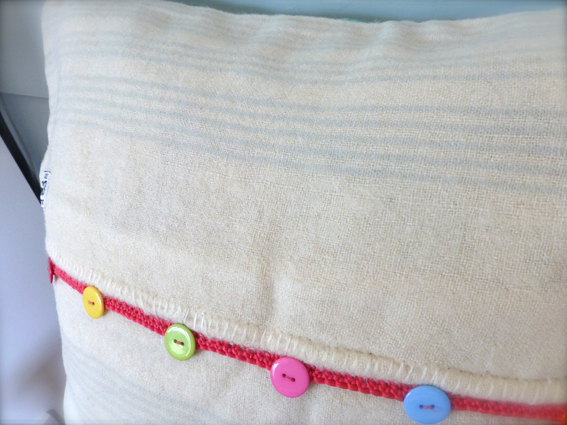 I love this combination of colours (thank you Lucy at Attic 24) and used them to make two cushions, one in ‘Raindrop’ stitch and the other in ‘Ripple’. 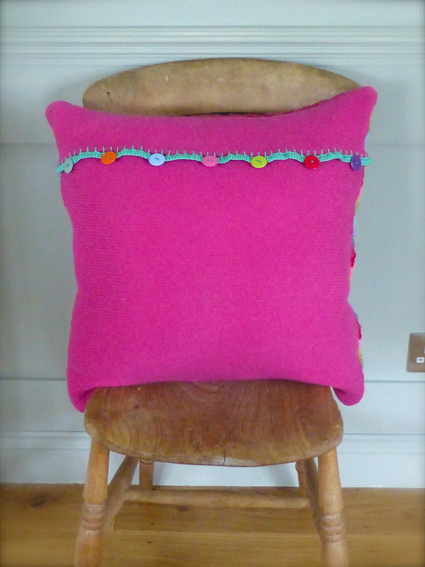 …and this is the back made from a gorgeous fuchsia sweater from my stash of felted woollen jumpers. 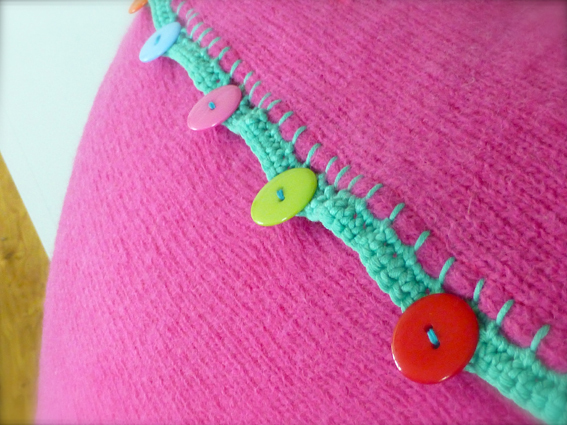 I made a simple envelope-style back so that I could crochet a lovely contrasting trim in turquoise. I just love the different coloured buttons. 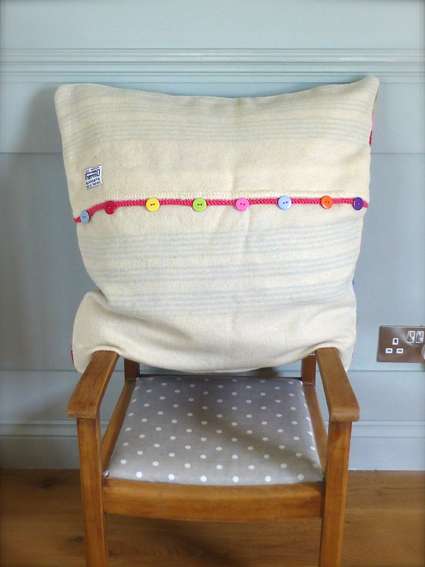 The reverse is made from part of a £3-00 charity shop find; a cream utility, pure wool, blanket with faint blue stripes running through. 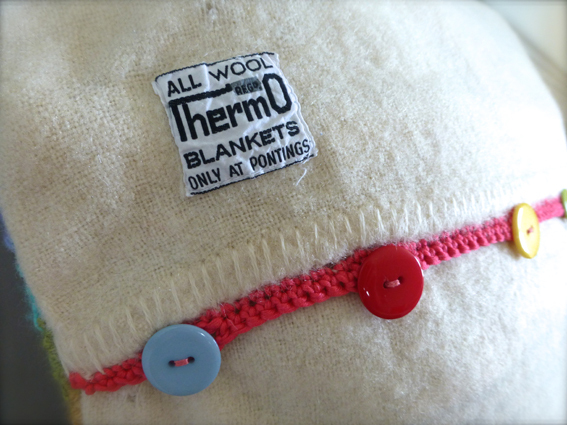 I left the original label on it – I don’t know why really, I suppose to shows its vintage origins. I think it adds authenticity to it and a bit of quirky character which I like. 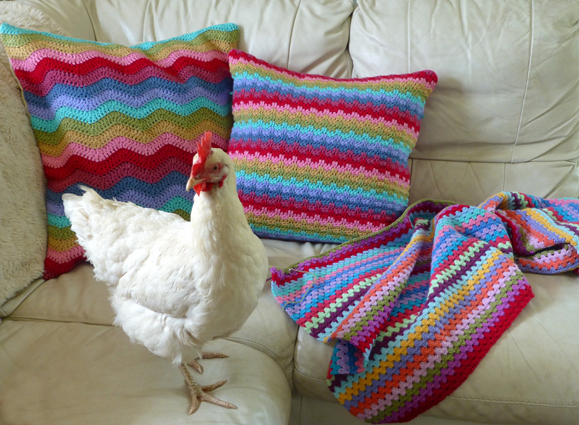 …and here is the “Ta Dah!” moment with them both looking very cheery on my sofa (after the hen finally got bored and disappeared into the kitchen to eat the dogs’ food, much to their disgust). 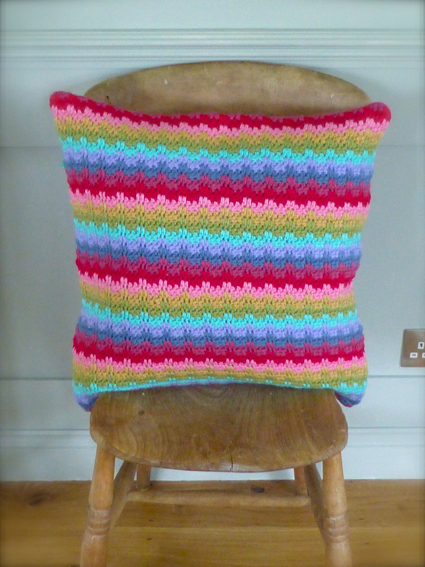 Don’t you just adore crochet; it makes me feel all happy inside to see rainbow coloured cushions (and blankets) scattered around my home – and even happier knowing that I’ve made them all. 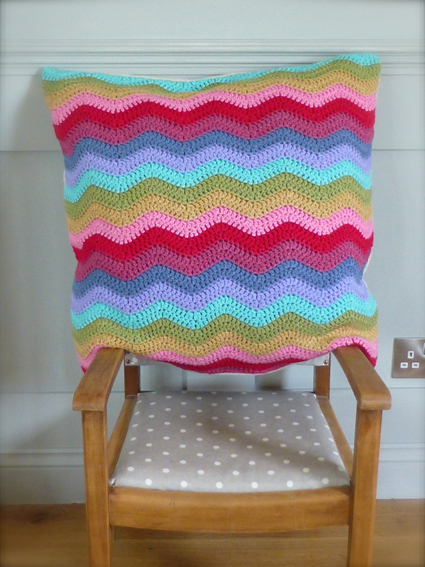 Categories: Crochet, Sewing | Tags: crochet, cushions, granny blanket, handmade, rainbow | Permalink. The pillows are adorable, but your chicken just walking around like, “Oh hey these are nice,” is just too cute for words. Thank you! I rather think Amber stole the show on this post!!! 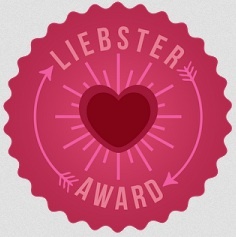 I am so happy that I stumbled upon your blog! I love to craft, and crochet is my favourite! I live on a farm, in South Africa, and have a great love of all creatures. Chickens are simply adorable characters. I have been entertained wonderfully by many of them! 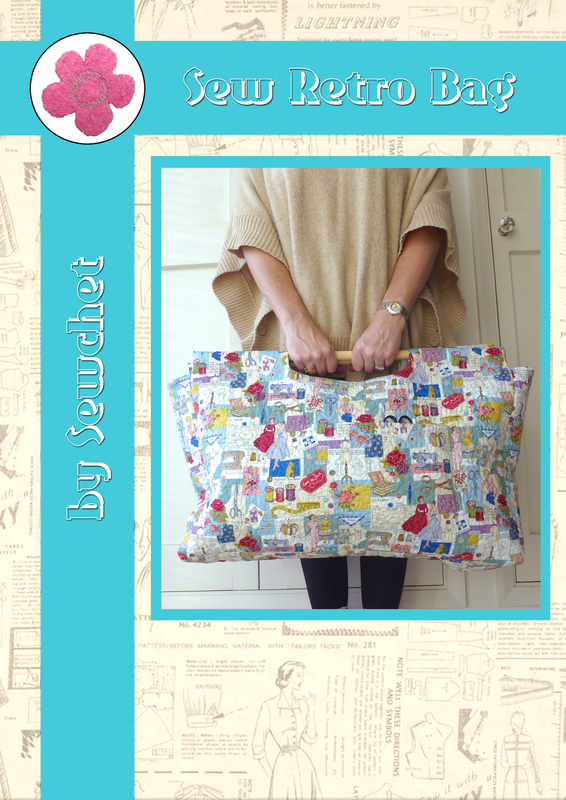 I look forward to browsing and following your blog.